It’s not unusual for people of all ages to feel a level of anxiety during their dental appointments. After all, there is the fear of the unknown to contend with. What’s the dentist going to do? Will it hurt? These questions may pop up whether it’s your 30th visit to your local dentist, or your first. You can bet that your child will have these very same questions, or ones very much like them, before and during a visit to the dentist. But as you probably know, we at Smile Designers PC take the utmost care to practice compassionate dentistry. Whether it’s an emergency situation or routine care, such as a checkup with a cleaning, we work hard to make our patients feel comfortable and at ease at our dental clinic here in Longmont, Colorado. With every child we treat, we strive to remain upbeat, friendly, and attentive to their needs while delivering quality dental care in a comfortable setting. Even so, we completely understand that your child will feel some level of anxiety. To help your children prepare for their upcoming visit, process the experience, and manage their worries, here are a few pointers we’d like to share. Don’t be afraid to talk about going to the dentist with your child. Do so in a calm and reassuring manner. Your children will feel more at ease when you’re open to answering their questions honestly, but without alarming them. This is not the time to talk about your worst dental experiences! Instead, think back on positive experiences you’ve had, and share a little about these to put your child’s mind at ease. 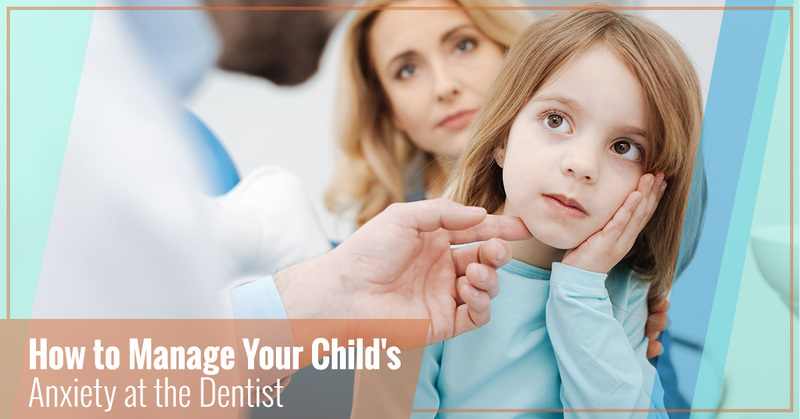 It can also be helpful to let your child know that a visit to the dentist is a completely normal event that people of all ages experience all the time. Explain that the dentist is there to help keep teeth healthy and strong. 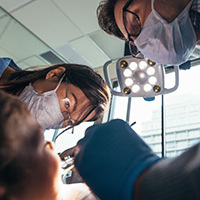 It’s also a great opportunity to go over healthy dental care habits; let your child know that in addition to brushing and flossing teeth, it’s important to get regular dental checkups to take good care of our teeth, gums, and mouth so that they can serve us well throughout our lives. If your child’s dentist knows about any feelings of anxiety being experienced, he or she can work with you to calm your child’s fears. A pediatric dentist can take extra time and precautions to put a youngster’s mind at ease. Don’t be afraid to let your child’s dentist know that your child is feeling a little (or a lot) scared. A great way to help your child stay calm before and during a dental visit is to remain calm yourself. Kids look up to their parents, and they’re gauging their feelings and reactions all the time. If your children see that you’re calm and confident, they’ll feel calmer themselves. As a parent, you’ve already learned the immense value of positive, productive distractions! When you take your child to their appointment with a pediatric dentist, bring plenty of fun activities to work on. Coloring books, puzzles, reading books, and any quiet toys your child enjoys are good ideas. By focusing on these engaging activities, children will spend less time worrying and more time having fun while feeling at ease. In addition to taking extra care to make our youngest patients feel at home at our dental clinic in Longmont, we at Smile Designers PC work hard to deliver gentle dental care to all our patients, regardless of age. That’s because at Smile Designers PC, we care about your experience as much as we care about your dental health. When you make your next appointment with us, you can be sure that our dentists and our entire staff will create a welcoming environment to help you feel at home. Make your, or your child’s, next appointment with us today!